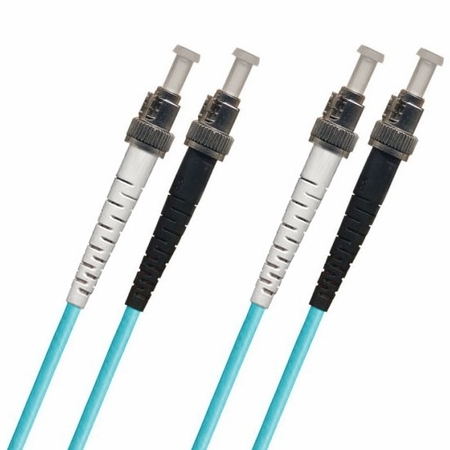 For greater multimode fiber optic bandwith and transmission distance with a low-cost connector, the LightWave ST-ST Multimode OM4 Fiber Optic Patch Cable simply can’t be beat, as OM4 technology has quickly become the go-to fiber solution when it comes to data center applications and broadband demands for higher speeds. A significant upgrade, OM4 can do everything OM2 and OM3 can do, and much more with greater efficiency. OM4 gives you data transfers over a 1Gbps link with a 50/125 micron glass fiber over a distance of up to 1100 meters at a wavelength of 850nm, and over a distance of up to 550 meters at a wavelength of 1300nm. For a 10Gbps link, you can transfer data over a distance of up to 550 meters at an 850nm wavelength. Each and every LightWave brand cable goes through rigorous inspection to ensure quality that meets customer demands, and this ST-ST fiber patch cable is no different. All parts and assembly are to industry standards, in order to bring you the best product possible, and we include the test results of each cable in its packaging. 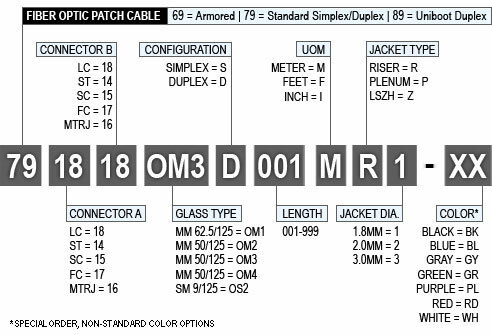 NOTES: Non-standard colors are special order custom cables and require a 5-7 day lead time. These are Non-Cancelable and Non-Returnable once they go into production. Dust caps on the connector tips are there for the protection of the fiber in the ferrules. This item has not been reviewed. No Q&A's available. Ask one now! © 2003-2019 Cables Plus USA, 5608 West Marshall Street, Richmond, Virginia 23230 . All Rights Reserved. Shipping | Returns | Contact Us | Questions?